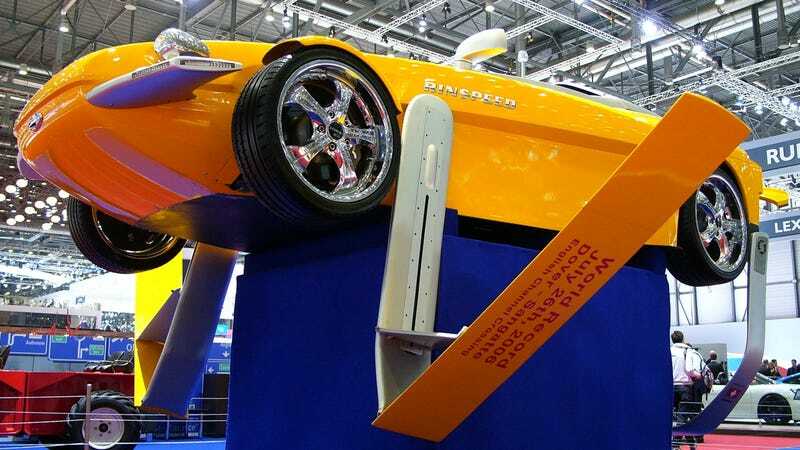 Remember this little guy from 2006, the hydrofoil car Rinspeed CEO Frank Rinderknecht drove, if that’s the right word, across the English Channel? It’s real. The Rinspeed Splash was on display in Geneva. And while it will never cease being surreal to think it’s a hydrofoil car it’s hydrofoil car it’s hydrofoil car while standing next a hydrofoil car, I managed to take photos and walk away with my sanity more or less intact.